Hi I am Matt and founder of Phoenix Fitness & Coaching. I have always been a keen sportsman, with football being my main passion. I regularly play the sport and also in the past coached (Level 1 FA) Feltham Bees FC. 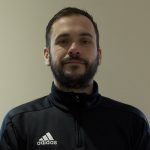 Feltham Bees being a disabled football team for children and young adults, this proved challenging at times due to the range of disabilities but above all a really rewarding position and this is what started my journey to become a personal trainer. Our main aim here at Phoenix is to provide the motivation and the help for you to achieve your goals through PT and nutritional guidance. We understand every client has different requirements, this is why we offer customised programs with on going support throughout your journey. If you are keen to start your journey to a new you, then do not hesitate to get in contact for any questions you may have or for a chat about your fitness. Free consultation and 30 min taster session. We look forward to hearing from you.